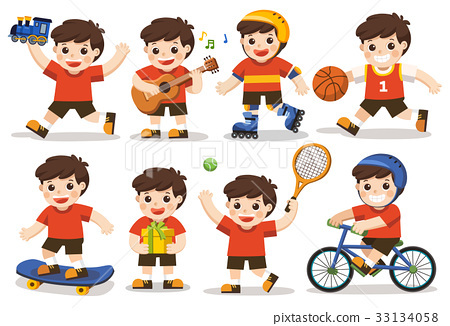 activity set of a kid: A cute boy playing with toys. Playing sport including basketball, athletic, tennis, bicycle, skate rolling. Playing guitar and singing happily. Holding present.